Credit Canada Debt Solutions is offering free money management workshops to newcomers in Ontario, in partnership with the Ministry of Citizenship and Immigration. Community groups and organizations are invited to host Newcomers and Money 101 workshops within their own communities. Credit Canada will provide Train the Trainer to anyone interested in hosting a workshop. If you are interested in hosting a Newcomers and Money 101 workshop in your community, click "Register Now" below. For more information, please email info@creditcanada.com or call 1.800.267.2272. 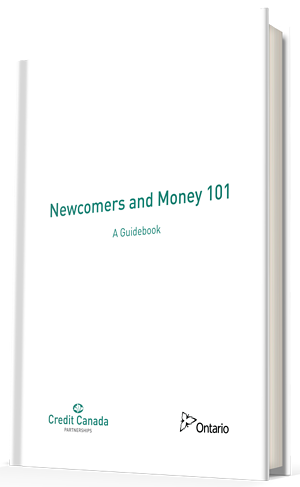 You can download the Newcomers and Money 101 Guidebook, which covers everything you need to know about smart money management in Canada, from how to set up a bank account to the importance of building credit. Complete the form below to host a Newcomers and Money 101 workshop.